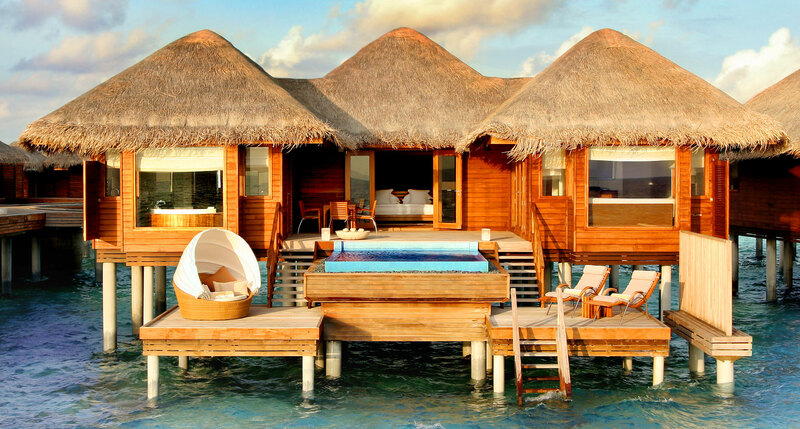 Did you know that two-thirds of the planet’s overwater bungalows live in the Maldives? It’s true. The rare structural species makes its home in the shallow waters that surround the country’s atolls — standing above the gentle waves on long, narrow legs. 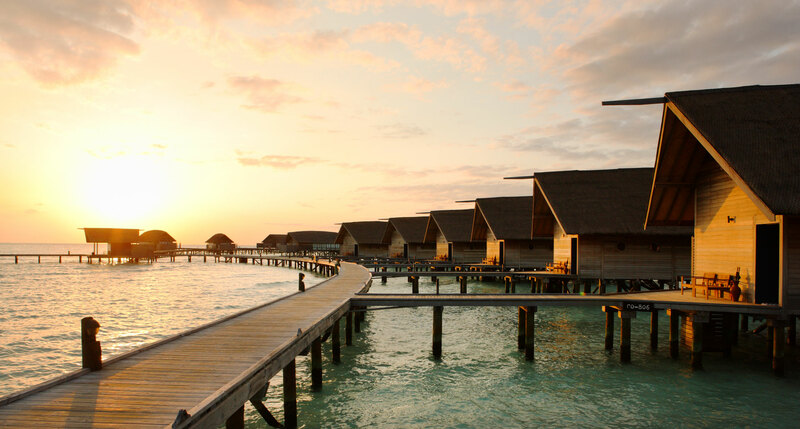 You’d be remiss to visit the Maldives and not spend at least one night enjoying their many charms. Cuteness aside, it is an interesting time in the Maldives. 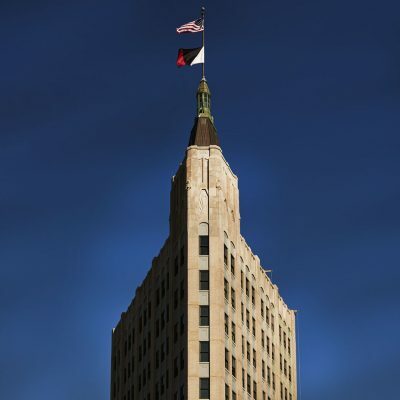 In recent years, the country’s government came under fire for corruption and human rights abuses. But in September 2018 the Maldives elected a new president who vowed to restore justice and fight malfeasance. There is a sense of renewal in the islands, and a hope that they can put the past behind them. We share their hope. We love unique forms of hospitality, and few forms of hospitality are as unique as the Maldives’ unofficial national bird, the overwater bungalow. 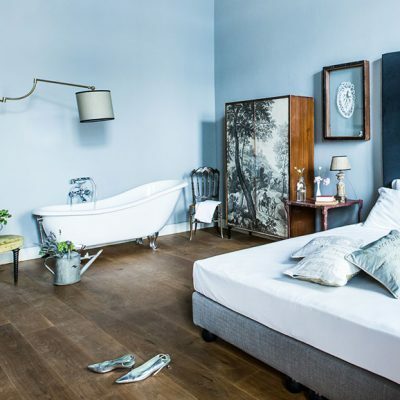 What’s most immediately apparent about Vakkaru is, naturally enough, its status as an example of that most extravagant of hospitality forms, where the shallow, crystalline waters of the Indian Ocean lap gently at the deck of your luxury villa. 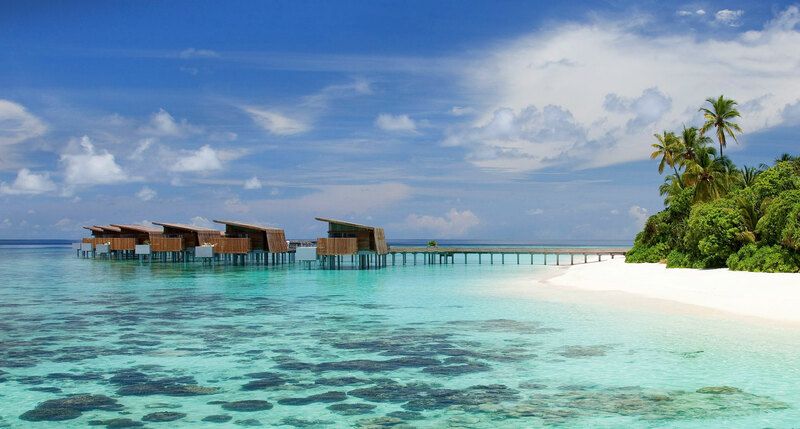 But to focus too much on the overwater villas is to sell Vakkaru Maldives short; the beach villas are scarcely less extraordinary, and are ideal for guests who prefer to stride across a stretch of soft sand on their way from the bedroom to the water. 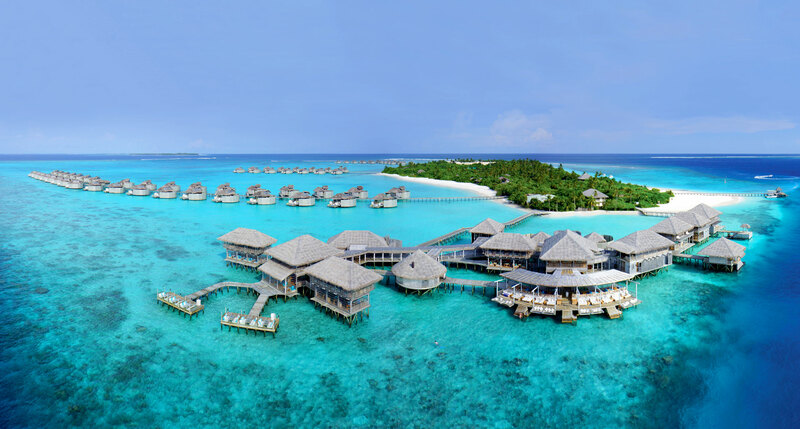 The Maldives comprise some 1,190 islands, and it only seems as though there are 1,190 luxury resorts — few of them, however, are on the level of the Soneva hotel group, whose Soneva Fushi is among the most rarefied luxury resorts in the world. 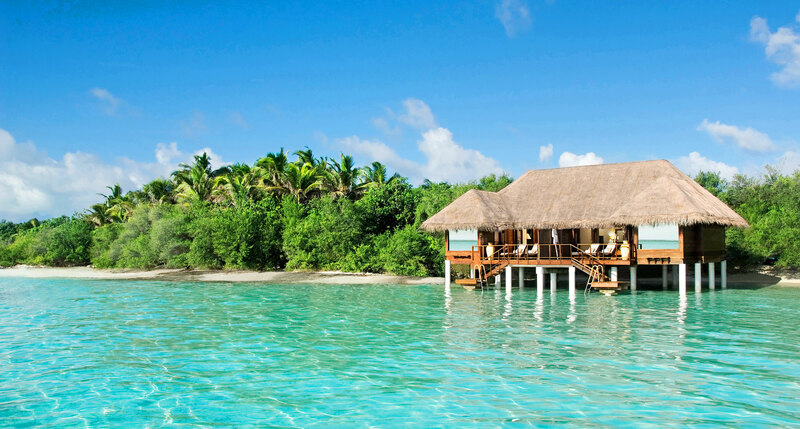 And the newest one, Soneva Jani, is eminently worthy of the name. 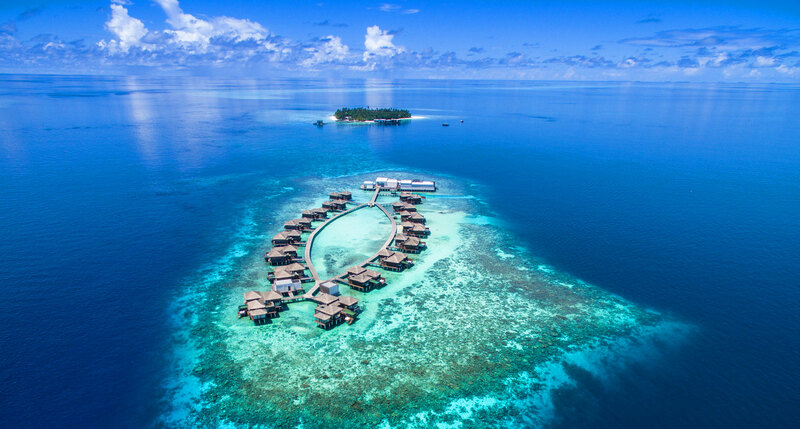 It’s hard to compare them in terms of extravagance, but where Fushi is known for its dry-land beachfront villas, Jani is comprised mostly of overwater villas, the sine qua non of Maldivian luxury hospitality. The Six Senses eco-resorts are consistently ranked among the very best in southeast Asia, and Six Senses Laamu is the undisputed champion of its particular location. Sure, it happens to be the only five-star resort on the Laamu atoll — an extremely secluded and unspoiled place, even by Maldivian standards — but that doesn’t means it triumphs solely through lack of competition. 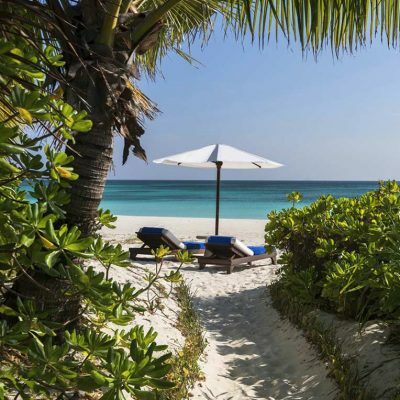 When it comes to bringing impossibly high-end hospitality experiences to the white sands and turquoise waters of the Indian Ocean, the Six Senses group isn’t known for doing things halfway. Taj Exotica is the sort of place that seems as though it could hardly be real, with its shallow lagoons and bright turquoise waters. Somehow the fragility of these islands only adds to their appeal. 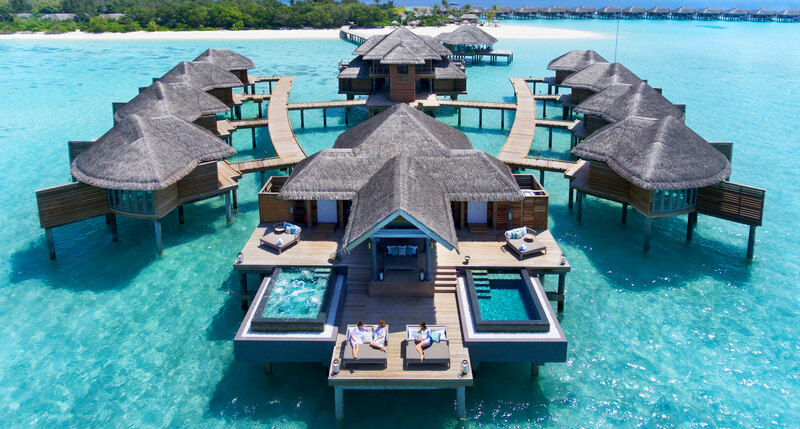 And there’s no saying no to the prospect of overwater accommodations, like the Taj Exotica’s lagoon villas, stood on pylons over the lapping waters of the lagoon, and connected to the island by a wooden walkway. Some have plunge pools, which is an impressive bit of engineering, and fantastically, charmingly redundant, a decadent folly, but one that must be experienced to be believed. Raffles may be best known for the 19th-century urban grandeur of its original Singaporean flagship hotel, but the Raffles Maldives Meradhoo is proof that the group can confidently operate in a wide variety of luxury-hotel styles. This resort pays tribute to its heritage with a touch of colonial atmosphere, but it’s a contemporary island resort through and through — from the beachfront villas and residences on the tiny speck of an island that is Meradhoo to the overwater units anchored to the floor of the lagoon a quarter-mile boat ride away. 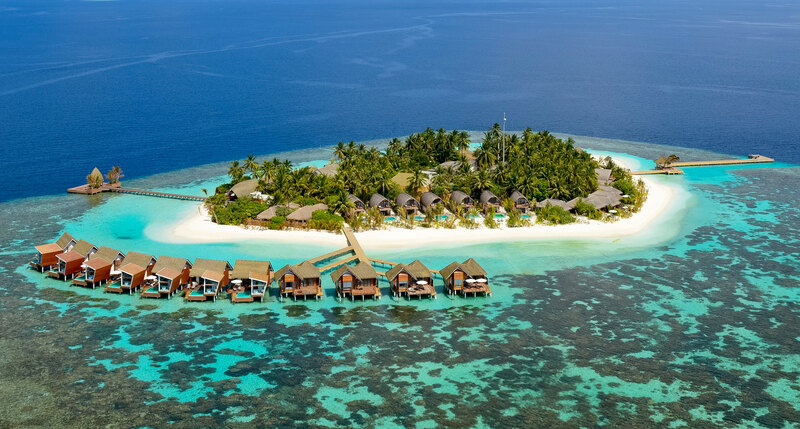 A resort that’s considered remote and upscale even within the rarefied context of the vast archipelago of the Maldives is obviously something special indeed: doubly remote and doubly upscale. Such is the case at Kandolhu Island, a resort on a small private island in the northern Maldives, ringed with pristine white beaches and a thriving coral reef — naturally, it’s accessible only by seaplane, 70 kilometers to the southwest of the capital of Malé. 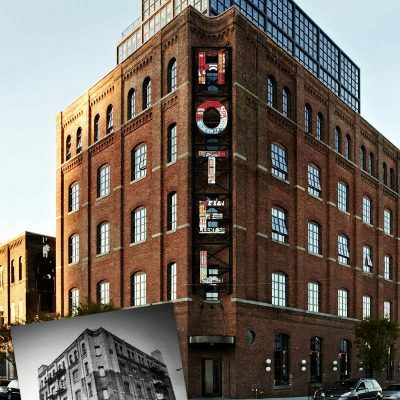 There’s something to be said, of course, for innovation, for surprise, for hotels that succeed in unlikely places or unusual genres. 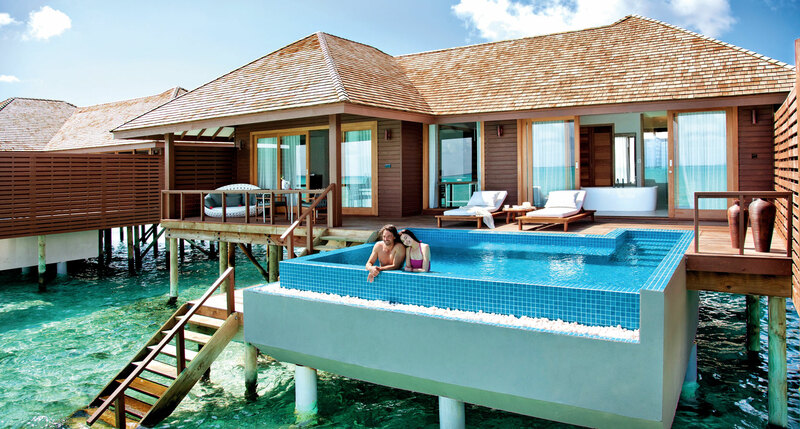 But an overwater villa hotel in the Maldives is none of these things. A hotel like the Hideaway Beach Resort and Spa doesn’t need a revolutionary concept — it needs only to deliver on the promise of Maldivian waterside luxury. In this case that means large and lavish villas, some on or near the beach, others suspended over the water, with glass-floored living rooms and water’s-edge plunge pools. All of Cocoa Island’s suites and villas are over the water in the form of a dhoni, a traditional fishing boat, with a short staircase out the back door, leading from a tiny balcony straight down into the ocean’s shallow waters. The “boats” are firmly moored to the sea floor, as you can see at low tide, but at high tide the gentle waters lap against the edges of the balcony. The view from the bed, through large French windows, is nothing but calm and unbroken Indian Ocean as far as the eye can see. There’s a sense in which it’s true that if you’ve seen one overwater resort you’ve seen them all, but you’d have to be pretty jaded to actually find yourself saying it. 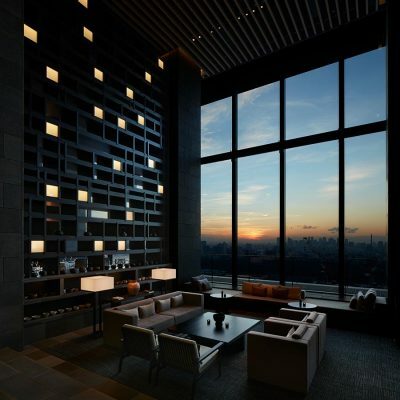 It’s a concept that surprises all over again with each iteration, and in the case of the Park Hyatt Maldives Hadahaa it definitely doesn’t hurt that the villas themselves are as stylish as they are. 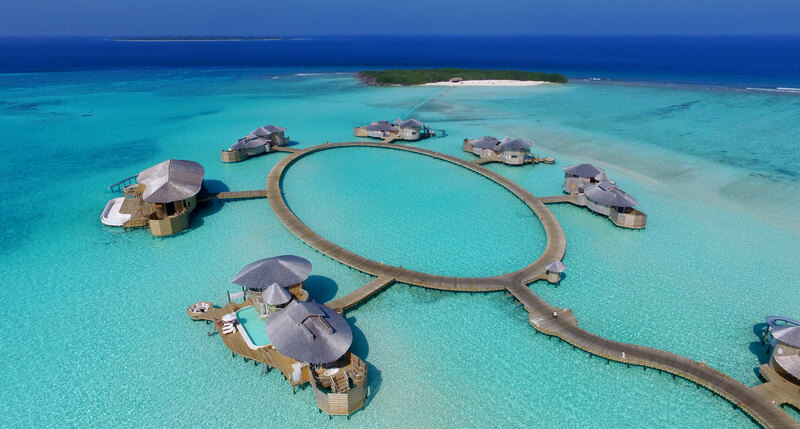 The Aqua Villas are the ones on stilts, and they’re necessarily striking, but the Island Villas, half of them with private pools, are in no way second-class. Just the fact that the Maldives exist is extraordinary in itself. Were the waters of the Indian Ocean just a few feet higher, there’d be virtually nothing here. 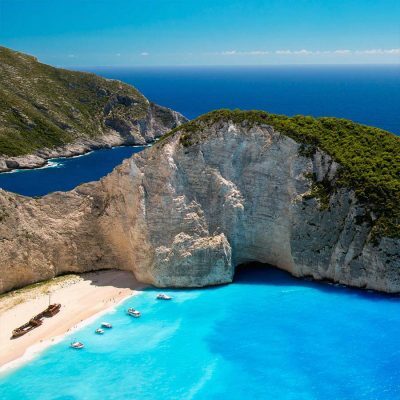 As it is, though, these islands seem tailor-made for tourism — each one a picture-perfect island idyll, a soft sand beach ringing an impossibly dense jungle, afloat in vivid turquoise seas. At Huvafen Fushi, it’s the natural setting that stands out: villas stand either on the beach facing the lagoon or else out on stilts over the water — and the two Ocean Pavilions go another hundred meters out to sea, each complete with its own infinity pool.